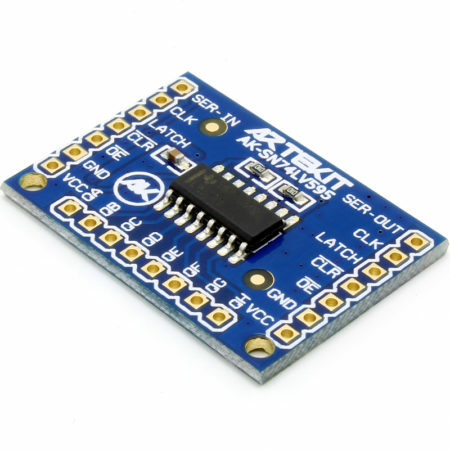 Breakout board for the Freescale MMA8452 3-Axis Accelerometer. 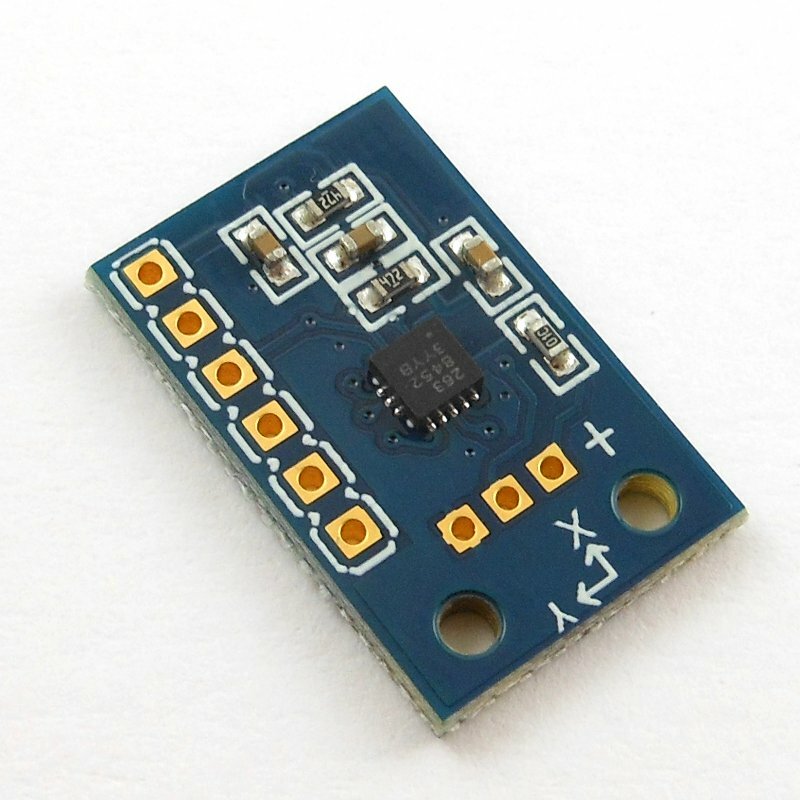 This breakout board has a Freescale MMA8452 3-Axis accelerometer on it. This means you can keep track of the orientation/acceleration/movement data of your next project. 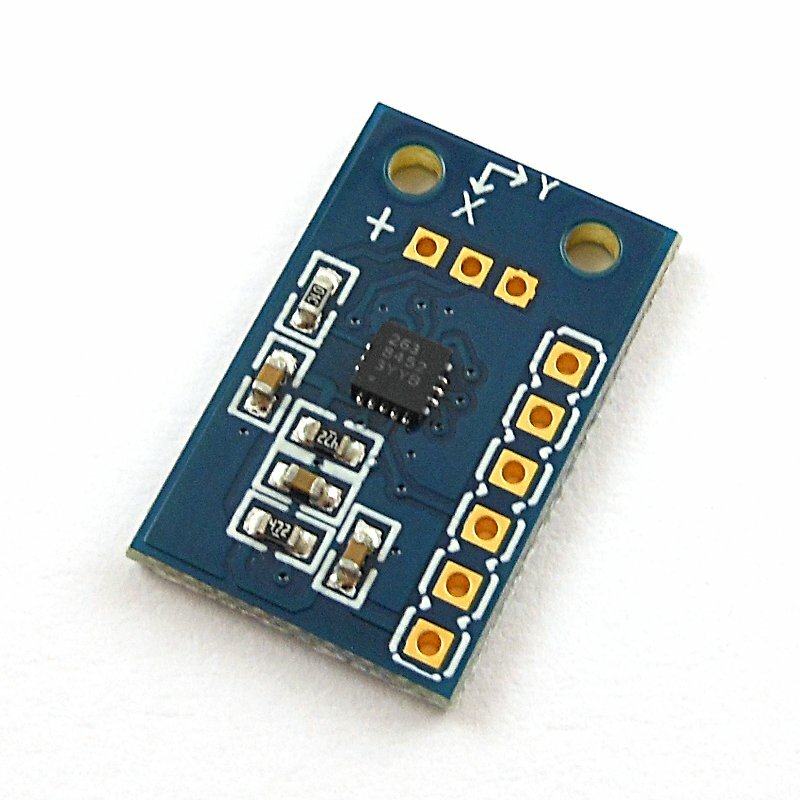 The MMA8452 is a low-power 3-Axis, MEMS accelerometer, highly configurable. It has a 12-bit resolution and selectable scales of ±2g/±4g/±8g. It can be configured to raise events under certain conditions, like a change in orientation, free-fall/motion, single/double pulses, etc. This events can be associated to the two dedicated interrupt pins (INT1, INT2). 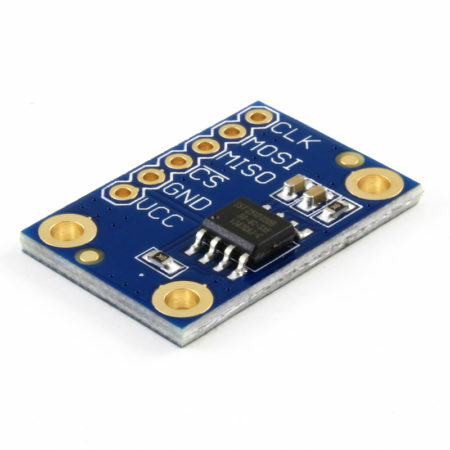 The board can be connected using standard 2-wire (I2C), and it’s fast-mode compliant (400KHz). You can also configure the rate of the data output (from 1.56Hz to 800Hz). 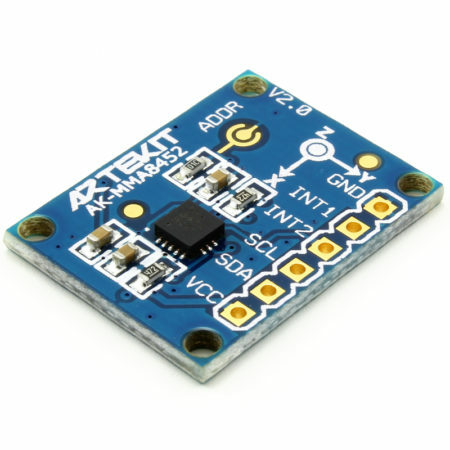 Breadboard friendly, with standard 1″ spacing headers. Two mounting holes allows you to fix the board with ease. 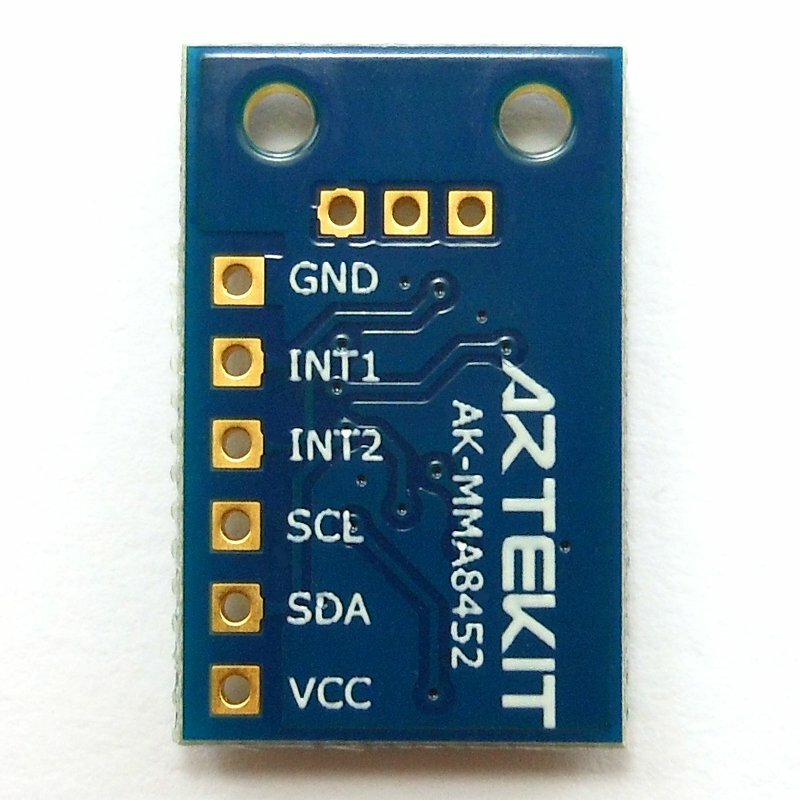 The board also includes 3 extra pins to program the I2C address. An Arduino acccelerometer demo sketch can be download from the links below. The board comes fully assembled and tested. 1.95V to 3.6V supply voltage. High-Pass Filter Data available real-time. Static orientation detection (Portrait/Landscape, Up/Down, Left/Right, Back/Front position identification). Real-time activity analysis (pedometer step counting, dead-reckoning GPS backup). 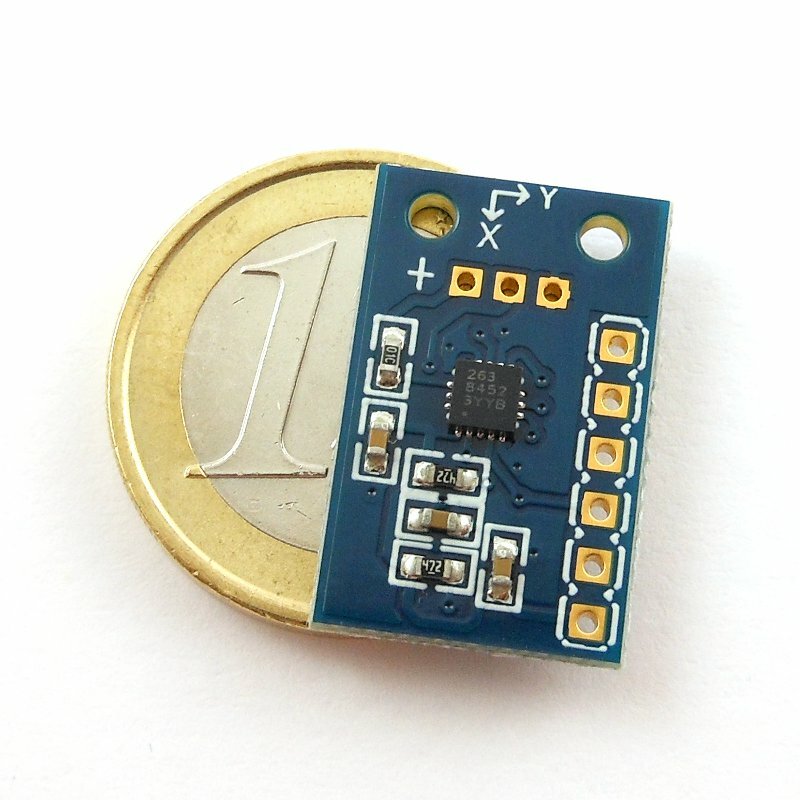 If you are using a 5V microcontroller you may need a Level Converter. Check out the tutorial about Logic Level Converters.